Suburban lawyer Mike (Paul Giamatti) is struggling with his domestic life. He has two young girls with his wife Jackie (Amy Ryan), but barely enough money to keep his practice open. He even has a panic attack one morning when jogging with his friend Terry (Bobby Cannavale). At work Mike is taking on a case where an elderly man named Leo (Burt Young) is suffering from dementia. Mike is unable to contact Leo’s daughter Cindy (Melanie Lynskey) and it looks as though Leo will be put into care. Mike realises that he can get a commission from the situation, which would help his own family. Before the court makes a ruling, he announces that he will be taking over as Leo’s guardian himself. Knowing that he won’t actually have time to take care of Leo, he leaves him in a nursing home. But turning up on the doorstep of Leo’s old home is Kyle (Alex Shaffer), Leo’s grandson. He’s been separated from his mother and wants to visit his grandfather. Mike lets Kyle stay in his own home and he turns out to be an incredibly relaxed individual. He even helps train with a high school wrestling team, where Mike and his friend Stephen (Jeffrey Tambor) are coaching a group of kids who can’t win a game. 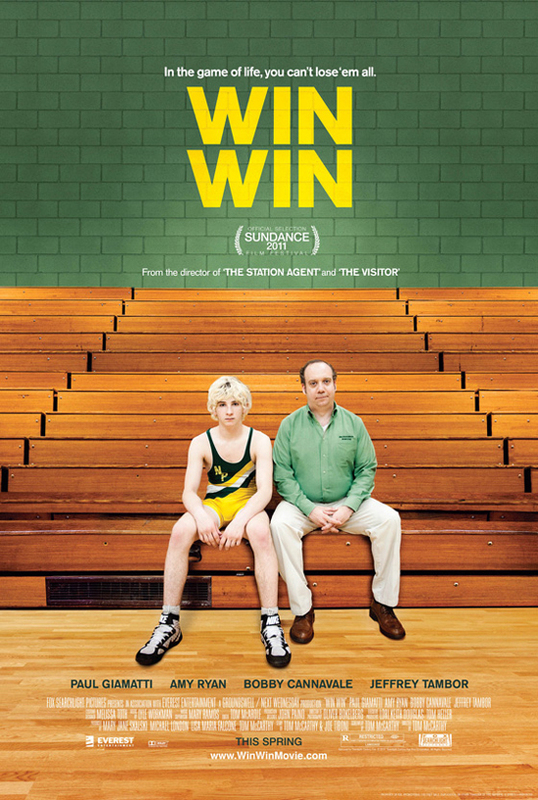 Paul Giamatti is excellent in this small but surprisingly complex parable. As a comedy-drama the film asks whether good deeds are fuelled by any form of self-interest. When looking at Mike’s relationship with Leo the answer is simple. But Giamatti makes this a much more interesting and sympathetic character. There are few actors in Hollywood who can carry the hangdog baggage that he can. He brings a convincingly understated sense of guilt to Mike to enrich his usual loner character. In a clever opening scene, we see Mike, his wife and his daughter all curse the same swear word in different rooms of the house. This foreshadows a lot of Mike’s anxieties about his daughters growing up and struggling to support themselves like their parents are now. On a more subconscious level is his relationship with Kyle. It’s revealed that Mike and his friends used to be underachieving wrestlers themselves when they were kids. And seeing their determination for their team to win a game, especially when Kyle is throw into the mix, suggests they are looking for some resolve in themselves. There’s a poignant moment after a match where Mike and Kyle are walking out together and he asks the kids how he stays so calm all the time, as though he’d look to discover that in himself. In a smart and funny screenplay, littered with details like this, it’s an incredibly subtle moment that works because of the delicacy of the performances and the direction Thomas McCarthy shows over his actors. This is essential an actors’ film and the supporting cast are terrific too. Amy Ryan, in what could have been a superfluous role, gives Jackie some steely paternal and protective instincts. One of her best scenes is where she and Mike argue over a lock on the basement door, when she declares that she’s not taking any chances with ‘Eminem’ in the house. 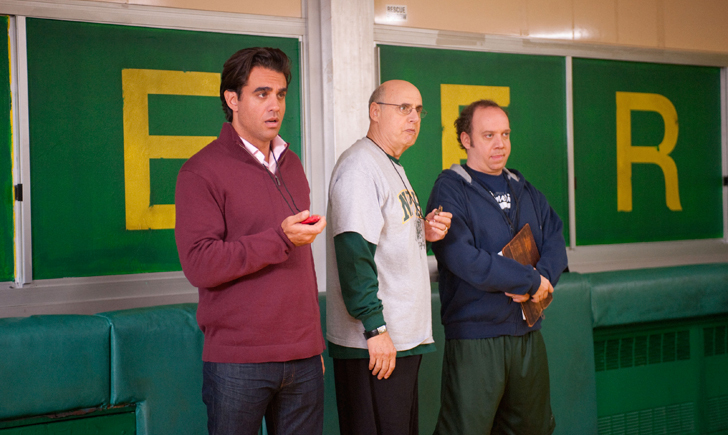 And bringing some big laughs are Jeffrey Tambor and Bobby Cannavale as Mike’s friends, especially when they start fighting over the coaching roles. Dramatically, the film has only a few hitting moments, shared between Kyle and his mother, as this is a low key film. But at least the ending is a realistic and honest one that values hard work and honesty. And with so much instant gratification in the world at the moment, that’s a pretty big deal.